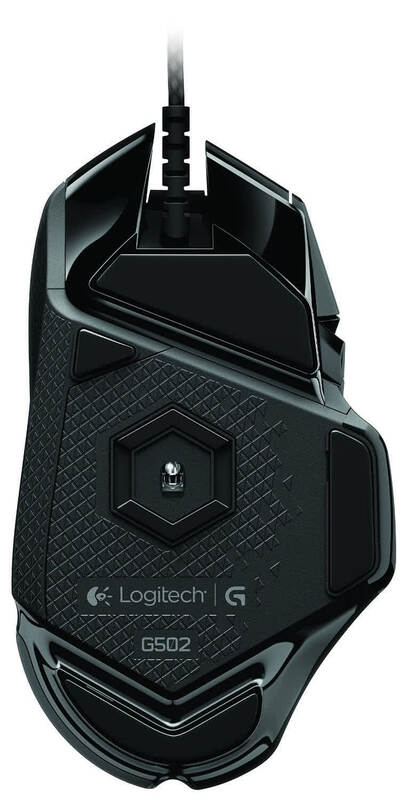 The Logitech G502 Proteus Spectrum is best gaming mouse I’ve used, hands down. It might sound a little biased because I’ve been using the Proteus Core sure, but that shouldn’t affect your judgement about the mouse. The programmable buttons and 12000 DPI sensor take of all your gaming needs irrespective of the genre, and the DPI Shift key comes in handy quite often, whether you’re gaming or designing. 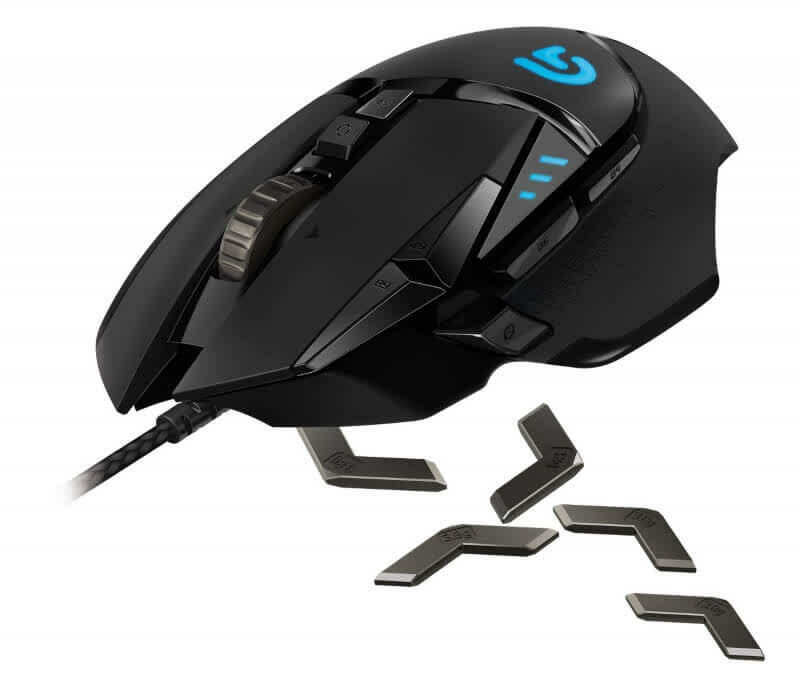 The Logitech G502 is a solid gaming mouse with a ton of useful features and excellent performance. The software lets you make adjustments that can be either radical or superficial, and the included weights are a nice touch that further improve accuracy. I think some of the buttons are awkwardly placed, and the textured portions left my fingers feeling a bit worn down after extended use, though. Still, I loved the features, attention to detail, and software suite. The original G502 Proteus Core still happens to be one of my favorite gaming mice of all time and the same goes for most people I talk about regarding gaming peripherals (is probably one of the most popular too). 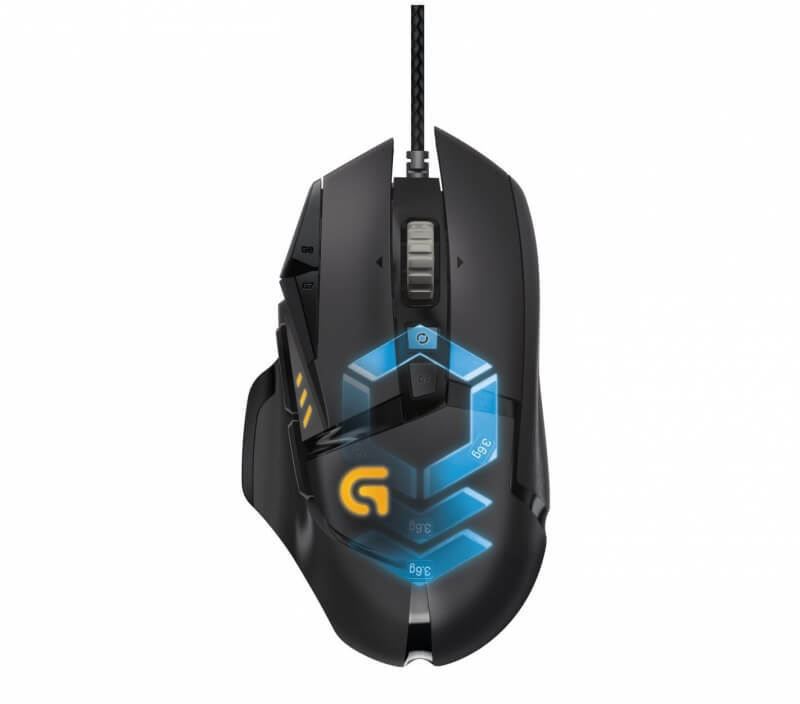 The Logitech G502 we found to be a well rounded mouse with a lot of great features that make gaming a breeze. 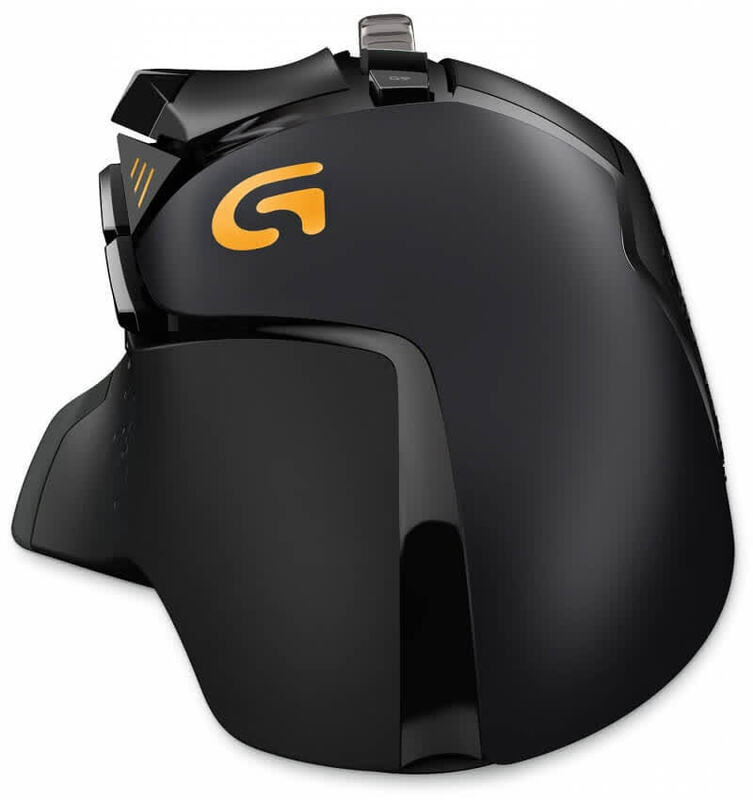 the everyday applications were also pleasant and we found the layout to be easy to use and while using it for hours the ventilation channels kept our hand from getting sweaty and we recommend the G502. Overall, the G502 Proteus Spectrum is a really great mouse. The only thing I can pick on really, other than my one bit of subjective criticism above, is its recommended retail price.Gaming mice are expensive, no doubt about it, and I know our exchange rate isn’t doing us any favours, but with a recommended retail price of R1299 and up, I find the G502 a little on the pricey side. If you are in the market for a new mouse, this is definitely the one to purchase. It’s been the number one selling mouse for a reason, and now you get a little bit more style for no additional cost. The G502 Proteus Spectrum is highly recommended. Logitech have a great history making awesome mice, and depending on your hand size, this is possibly one of them! This one has some really awesome features. In this test of 37 models there are only a few mice that left us with the thought 'you definitely do not want to purchase that one'. There are a lot of similarities, but there are also some models that stand out or simply perform slightly better than the competitors. 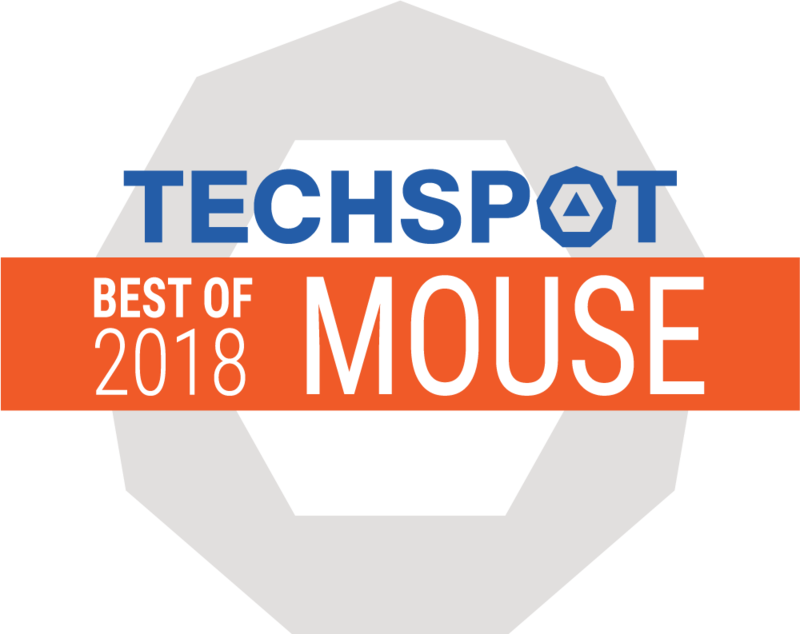 All things considered, the Logitech G502 Proteus Spectrum remains a fantastic mouse, both for gaming and day-to-day use. The primary mouse buttons are deliciously clicky, the textured rubber sides makes the mouse grippy despite its size, and really, that scroll wheel is something else.